Ok, Live... We're getting closer. 1. I burnt the Image File onto cd, then rebooted into dos. I can see the Image files on the CD, but not the ATIFlash program nor the .rom file. 2. I return to windows and try to write the ATIFlash prog and .rom file onto the CD, but windows tells me they are already on it, but I cannot see ATIFlash or the .rom file on the CD in Dos. 3. I can use Win Explorer and I can see the ATIFlash prog and .rom file on the CD. 4. How do I get to see the two important files in Dos? I have used CrackerJack's method of creating a bootable CD with Nero (version 6.6.0.8), placed ATIFlash 4 files and the .rom, but my USB keyboard is not being detected. I cannot write anything. This is the screenshot when the DOS finishes loading. I observe it's a bit different than what other people have. Why? Edit: ye, this is certainly not the correct DOS. Even with a PS2 Keyboard, the ATI commands won't work, says invalid command or file, after witch not even the PS2 keyboard won't type anymore. Sorry, I'm on a desktop PC now, really cant give you a descriptive answer on the iPhone. 2. Unzip/Unrar ATI Flash v3.60 to your C: or D: drive, and place the rom file as well. 4. Then use ati flash with ATIFlash -p 0 rom.bin etc etc. I was under the impression that if his C or D drive is NTFS they are not seen by DOS. Ok, after I got LiveWire195 zip, DOS (NERO).ZIP, I get the same problem like Dominik. Now the thing is on this computer it says "Driver not found 'MSCD001'", yet on my 6 year old computer, it works good, and it finds MSCD001. The difference is that my HDD's and DVD-RW is connected via SATA cables vs my 6 year old computer which is all IDE. However, the DVD-RW is connected to a SATA port that is set as IDE in BIOS. No drives found, aborting installation"
Number of drives : 1"
Therefore on this computer I get the "Driver not found 'MSCD001'" while on my old computer it's "Drive G: Driver 'MSCD001' unit 0". What additional drivers do I need so I am able to boot and my SATA cable DVD-RW find this MSCD001? Please help me, I'm starting to get nightmares. I'm trying for 3 days now to boot in BIOS so I can use ATIFlash. EDIT: Ok, I found this which I 'think' it's my answer. Can anyone tell me how can I include this driver, not sure what to do. Yeah I gave up on DOS eventually. The MSCD001 driver that it couldn't find came to be too technical for me to fix, I just used ATIWinflash in the end and it worked out fine. I have also bad flashed my card. I have the 4830 1GB by saffire, and stupidly flashed the card with an overclocked cpu (q6600), which resulted in my system freezing half way thru the flash (using RBE and WinFlash in Windows XP). On reboot, there way no sign of display, so i took the card out, placed it in my second PCIE slot. I then tried to fit my old X1650 into the first PCIE slot, but my x1650 has a radiator on the top of the card, and the 4830 has a fan on the bottom, so i could not fit the two cards. My next step was to borrow my mates 8800gt, which gave me room to fit both the 8800gt and the 4830. After using the 8800gt in the first PCIE slot, and 4830 in the second PCIE slot and plugging in their power leads, there was still no sign of a display. I found i could start my pc up with just the 8800gt, but as soon as i plugged in the 8-pin power cord to my 4830 the display was lost. As i could not boot into windows with the 2 cards connected, i could not detect or flash the original bios (which i have saved) to the card. i made the CD bootable using Nero. After i put the 8800gt back in the case and set my motherboard bios to boot from CD, i then replaced the 8800gt with the 4830 and with no display hoped for the best. i heard the CD spinning so assumed that it was asking if i wanted to boot from it, so pressed ENTER. I left it for about 10-15 minutes, and after there was no automatic reboot, manually restarted the machine, just to find out the card still doesnt work. P.S if anyone can make me a rescue CD, i can pay them some money via Paypal as i could really do with the card up and running, my x1650 crumples at 1920X1200 with new games. huh? sorry youv lost me ..can someone give me some good instructions for blind flashing? atiflash.exe -p -f "filename" only if you have one video card "if so this is the easiest way"
just write or print these commands, to be safe. I got the invalid commands and all other sorts of errors using Vista x64. Finally I busted out one of my old hard disks, disconnected all my new drives, and installed plain Win XP on the old drive. I connected one of my regular backup drives without the Vista OS long enough to get the BIOS files and ATi flash over to the XP C: drive. Then I could boot with the nero CD and just go right to my C: drive and access ATiflash and my BIOS files flawlessly. Then I just unplugged the XP drive and plugged back in all my others drives. When using XP I was disconnected from the internet and didn't bother patching it because I solely installed it for using with problem applications in the future. I've got a USB mouse and a USB keyboard plugged into a Foxconn A7DA-S (790GX). Keyboard and mouse I am using are below. They worked fine under Vista with the nero boot CD I just couldn't get ATiflash to be found, or to work properly. I imagine you could do the same thing with a large USB flash drive. OK thanks mate il try this tonight, to make matters worse not only i cant play any pc games over 2 years old, but iv also been cut off from the net for a month for exceeding my isp's download limit...fuckers..
the story is not that simple, I didn't change any ID, something wrong happened when I tried to flash the ORIGINAl bios back in the vga (don't ask me what, I just flashed the bios and restarted the PC), I tried to "reset" the bios chip since the card was not detect anymore... now it is detected but atiflash cant write the bios... but I will try again the trick to make contact between the pin 1-4 of the bios for more time, as I was advised to try. but thanks, nvflash have the -e command, I tought that atiflash had something like this, but doesn't look to be the case! the -f command don't make any difference at the moment. A bit off topic, I need a bios for a force 3d HD 4870 512MB with the DHT freezer cooler on it, I flashed mine using atiflash and o modded bios but now Catalyst drivers wont install and device manager reports the card as a vga controller, I've tried many other bioses but with this card but they either kill the card or cause windows to see it as a vga controller. Hello all. I have a Sapphire HD 3850 AGP. I was flashing the BIOS with winflash and my system froze. So then the card didn't work anymore. I found my voodoo 3 pci card (thank god i saved it) and booted to DOS (nero dos) with both cards in. Then i ran "atiflash -f -p 0 rv670.bin" (actual backup from gpu-z) everything seems to go right, all the numbers match up, and it says to reboot to finish vbios flash so i do but i get nothing. The screen is still blank, orange light on my monitor. Is my card bricked? Anything else I can try? PS: I can't make it past the windows xp boot screen with both cards installed. Or I would try winflash. So I ran "atiflash -i". I had used it always with 0 before. I noticed there were two adapters, 0 and 1. Then I "atiflash -f -p 1 rv670.bin" and it worked. Wonderful! 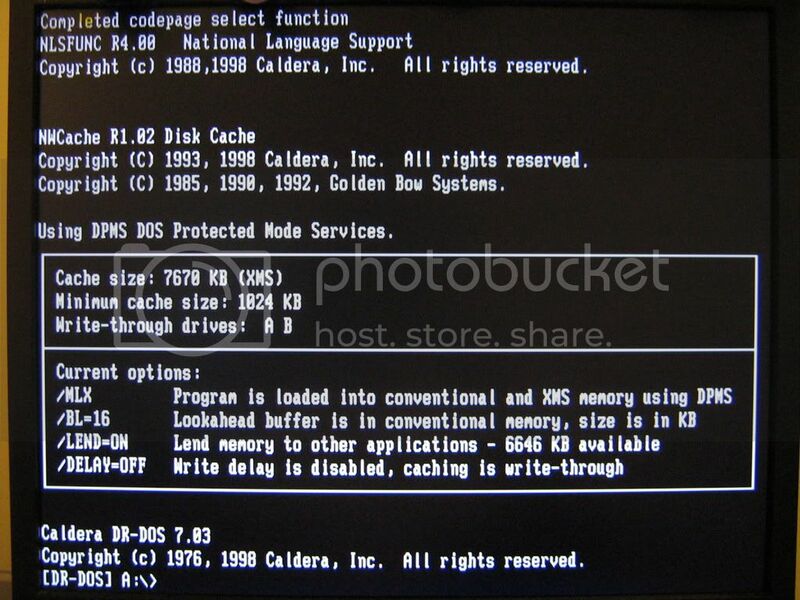 As I followed your steps, all was fine until locating the cd drive in dos, my keyboard will not be activated once i am in that menu. so i couldn't proceed. please help. I assume your keyboard is USB? Grab an older PS2 board or clip in the USB to PS2 adapter that usually comes with boards. I can't seem to get my USB stick to boot. First I was getting the "command interpreter" message, so I then downloaded the HPUSBFW_BOOTFILES.zip files, but now I just get a blinking cursor when I try to boot off the stick. I'm on Windows 7. Hopefully someone can chime in. Apparently, I'm facing the same situation. Updated OP Links & Info!